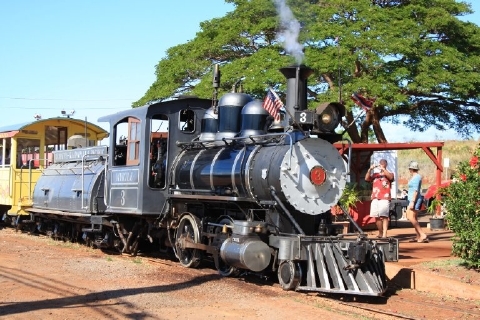 A fun Train ride into Maui's historical past! These tracks were once used to haul Sugar Cane. Your narrative journey begins when you hear the blast of the train whistle, then the locomotive will chug the six mile long track. Your journey's elevation provides panoramic views of the West Maui Mountains along with distant islands in the turquoise blue waters where whales are often seen playing from to December to April.